You all know that I am a Tommie Copper fan... I have been wearing their compression gear and absolutely loving it since the Fall of 2011. I wore my short-sleeved tee throughout my retinal surgery recovery when I had to be face down for 4 days. It helped to keep my back warm and the muscles relaxed while in that position, which was not easy, believe me. And I have used my calf sleeves to help my leg muscles stay warm both while running, and after, while recovering and resting. The compression is supportive and comforting. 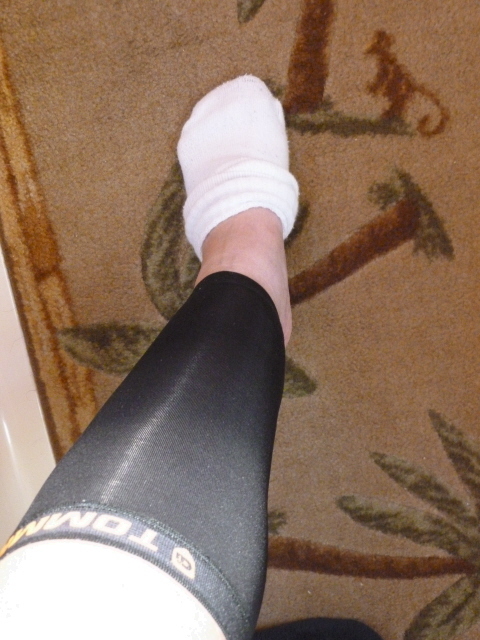 I also wear a calf sleeve occasionally throughout the day to alleviate the swelling that happens in my left leg. And I have worn my calf sleeves during the night while sleeping, too, to relieve muscular pain and the cramping that comes with overuse. 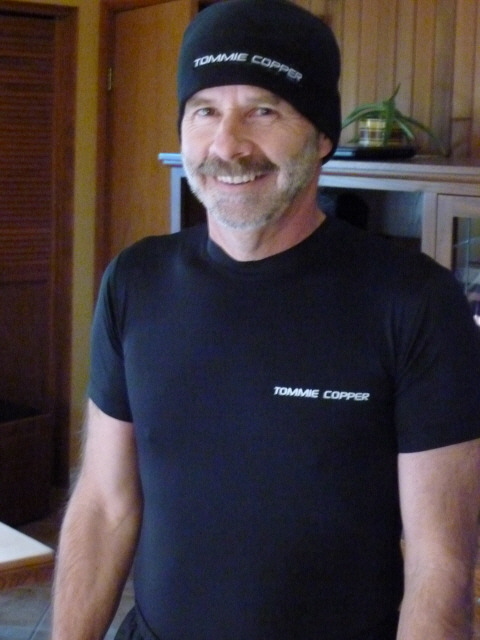 The Captain became a Tommie Copper fan when he started wearing his short-sleeved tee last winter when we were training for our half marathon in May. He has continued to call on it as his primary running tee cause he likes to keep his back warm, even in the warm Summer months. He also loves his Tommie Copper knit cap. In May I discovered Tommie Copper compression shorts and fell in love all over again. Soft and snuggly... supportive and so comforting when recovering from our long training runs. I often wore them under my clothes and slept in them too. I love to put them on after an epsom salts soak in the tub as they really help the hip flexors and quads recover and relax. And I started wearing them a lot when I first started working out with my kettlebell and learning the hip thrusts, too. Imagine how thrilled I was when I learned we had the opportunity to sample and review the new Tommie Copper long-sleeved compression tee shirts. The Captain's is black, his favorite gear color, and I chose the cobalt blue. These shirts fit like a second skin.... and that makes sense cause compression garments should be snug. As soon as I put mine on, I could feel my skin start to warm and glow underneath it. So comforting, the patented CU29 fabric is soft and light and luxurious. It envelopes you like a warm snuggly blanket. I can certainly attest to the claim that the fabric enhances blood flow. We wore the shirts for the first time on January 1st when we went out to do our 5km Resolution Run. The day was dreary and cool so we wore our shirts under our running jackets.. before the last 1 km I had my jacket off but was really happy to have the long-sleeved tee still covering my arms. And yes, it wicked the sweat away from my upper body and arms, just like the advertising promises. These shirts are quite long so they tuck nicely into shorts/pants to keep the back and kidney area warm and relaxed. Nothing worse than feeling muscle tension due to being cold, I think. Since then I have been wearing mine constantly because it is so comfortable. I sit a lot at my keyboard and the compression supports my back and helps me remember to sit up straight too, I think. And we both love having them on as a base layer when we head out for a walk on our cool and damp Pacific NorthWest Winter days. Winter is cool and damp here, and even though it has been 10 years since we moved here, we are from a drier climate, and we both find it hard to get warm when the weather is damp and cool..... these shirts really help with that. I do so wish we had these shirts when we were downhill skiing, cross-country skiing or snow-shoeing in our pre-sailing days... and yes, even on the sailboat on a windy and cool day... this fabric is really quite amazing. I like to handwash our Tommie Copper garments... a quick wash in cold water with a wee bit of laundry soap and then a good cold water rinse before hanging them in the bathroom to dry. I always wash them separately cause they do release a bit of color the first few times they are washed. You can machine wash them if you like, and dry, too, but don't use fabric softeners or dryer sheets with them.
" Tommie Copper's men and women's long sleeve compression shirt uses Therapeutic Copper Compression to help relieve arthritis and other chronic joint and muscular pain, promote muscle recovery and aid performance. 3 Pack - Buy 3 of any size Long Sleeve Compression Shirts and SAVE $34.00 off total. Use LONGSLEEVE3PACK coupon at check out. Check out the Tommie Copper web site for colors and size charts for the men's shirt and the ladies shirt, and do visit their Facebook page as well... and be sure to leave me a comment on this post, because tomorrow I will have a special surprise for you if you do.... check tomorrow's post for those details. Tommie Copper gave us these shirts at no charge, but the opinions expressed are our own. OMG!!! TC long sleeves?! Yes please -- this is an absolute MUST! I hope they come out with leggings, too. How awesome would that be? I'm such a TC girl, too! Great post Elle -- and what's up your sleeve for tomorrow?! Jenn, they are now offering women's tights too. Would love to try them out. I would like a whole bodysuit actually! I just saw it on the website, and literally flipped out! WHERE. HAVE. I. BEEN?! LOL!! I could have used a Tommie Cooper shirt yesterday while snowshoeing! Checking them out! Oh yes, they would be great cold weather base garments. I've heard so many awesome things about Tommie Copper things...I really need to take the plunge! You know I love Tommie Copper! I definitely need to try out a compression shirt. I have the short sleeve - but the long sleeve would be amazing! I love the cobalt blue color. These shirts sound great! Love the Cobalt blue and it is such a pretty color on you, that is the color I would get too, although the grey is pretty too in my humble opinion :) All I have are the calf sleeves and short sleeve shirt, but I love them both and think they do mae a huge difference. I love Tommie Copper products. I have a knee sleeve and an ankle sleeve and they are both awesome. I've wanted to try out Tommie Copper as I've heard nothing but great things about them. Glad you like your new goods! Oh no, not all about cold at all. 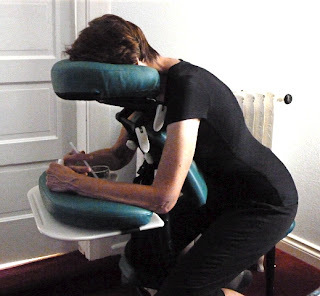 It is about muscle relaxation and recovery and support, as well as pain prevention and relief. I am glad you stopped by to check out the post, Jody. I adore my TC calf sleeves and attribute much of the healing that enabled me to run MCM to them. Love the blue shirt! Pretty! How did I miss this?! SO cool! blue is definitely your color!! I feel so relax and comfortable as I look into the picture. It's a multi-purpose shirt. I wanna try it! :D.. Compression really is awesome, and I'd love to try out these products for sure. I hear nothing but good things about Tommie Copper. These look so neat! I love the blue color too -- it looks great on you! I love how long they are. My pet peeve is short workout shirts! And the blue is a great color for you! Given our cold, damp climate (Vancouver BC is beautiful, but sun-less...), this looks like a great base layer for winter days! Thanks for your review Elle! The blue looks great on you! I really think they just need to make a complete bodysuit! Those shirts look so warm and comfortable too! OOPS a day late catching up... But thanks for the great review and chance to win! I am hoping to get the compression shorts really soon. I have read such awesome reviews. I love compression gear! and Tommie Copper is such an amazing brand!